English-born filmmaker Claire Belhassine didn't know, for most of her young life, that her grandfather was Hédi Jouini, who is recognized as the Godfather of Tunisian music and the “Tunisian Frank Sinatra.” She spent summers in the company of her Tunisian extended family, yet they never talked of his historic past — and this is a man who was even featured on a Tunisian postage stamp! 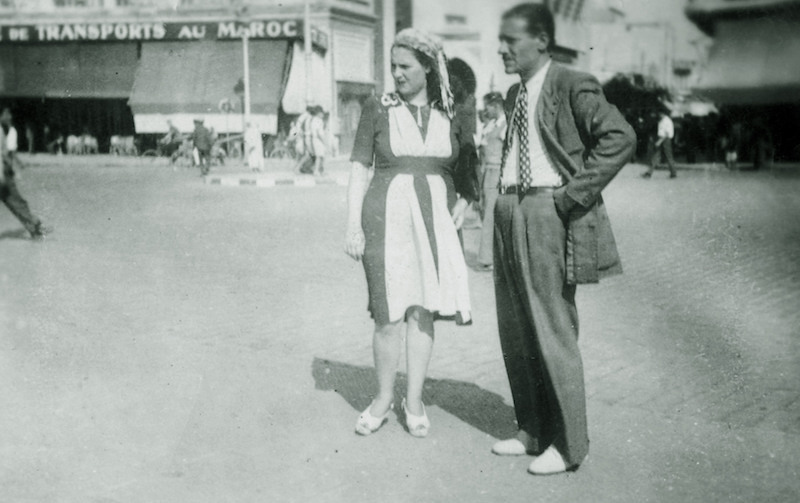 Until, one day in the back of a Paris taxi, she learned that her grandfather Hédi was a superstar. So how is that possible, you may be thinking right about now? Well, I won't give the details of Belhassine's spellbinding and utterly pleasant to watch documentary away, but I will tell you that the filmmaker takes us on a personal journey with her, accompanied by Jouini's music and her own soothing narrative. This coming week, 'The Man Behind the Microphone' premieres in Tunis at the Manarat Film Festival of the Mediterranean in Tunisia, a passion project by another wondrous woman, producer Dora Bouchoucha. The film originally world premiered at the Dubai International Film Festival where I watched it and it was probably the most interactive film there, complete with an impromptu concert on the beach by some of Belhassine's talented family.